adding options to "share" application list. We all know we can share pics, links, urls, etc. But we are restricted to the usual G+, Email, FB, Twitter etc. Why is there option for Google Talk? I mean, we have all the other Google apps integrated, how can we add Google Talk as one of them? Is rooting the only option? P.S. I have not rooted my phone. for an app to showup in sharing option the app has to using sharing api and implement what to share. gtalk didnt implement it so you wont see the option. I wouldnt call we are restricted. 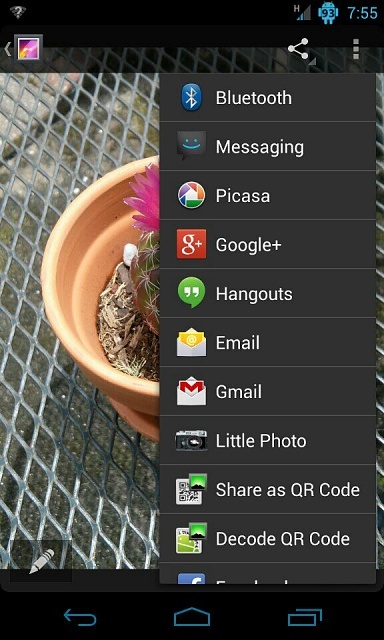 sharing is very powerful in android. How do I know if the app is using sharing API? Google talk is now called Hangouts and I have it in my list. Change application list to stock Android? Adding cities to Weather widget?